The number of asteroids colliding with the Earth and Moon has increased by up to three times over the past 290 million years, according to a major new study involving the University of Southampton. These findings, published in Science, challenge our previous understanding of Earth’s history. Scientists have tried to understand the rate that asteroids hit the Earth for decades, usually by studying the craters and dating the rocks around them. The problem with doing this is that many experts assumed that the earliest craters have worn away over time due to erosion and other geological processes. However, researchers have now found that we can learn a lot about the Earth’s impact history by studying the Moon, because both bodies are hit in the same proportions over time. Further, the Moon is immune to many of the processes, like plate tectonics, that gradually destroy Earth’s craters. “The only obstacle to doing this has been finding an accurate way to date large craters on the Moon”, said William Bottke, an asteroid expert at the Southwest Research Institute in Boulder, Colorado and a co-author of the paper. 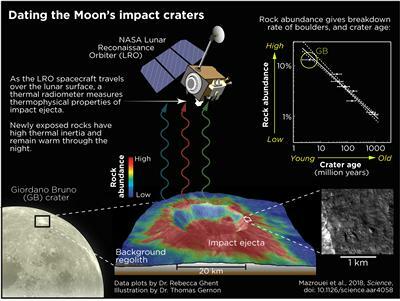 The team studied the surface of the Moon using thermal data and images collected by NASA’s Lunar Reconnaissance Orbiter (LRO), to determine the ages of the lunar craters [see graphic]. The NASA spacecraft’s thermal radiometer, known as Diviner, showed the scientists how heat is radiating off the Moon’s surface – with larger rocks giving off more heat than finer, lunar soil. Paper co-author Rebecca Ghent, a planetary scientist at the University of Toronto and the Planetary Science Institute in Tucson, Arizona, calculated the rate at which Moon rocks break down into soil, and revealed a relationship between the amount of large rocks near a crater and the crater’s age. Using Ghent’s technique, the team compiled the ages of all lunar craters younger than about a billion years. When the team compared the ages and numbers of craters on the Moon to those on Earth, they made the remarkable discovery that they are extremely similar, challenging the idea that Earth had lost so many craters. “This means that the Earth has fewer older craters on its most stable regions not because of erosion, but because the impact rate was lower prior to 290 million years ago,” said Bottke. Dr Thomas Gernon, Associate Professor in Earth Science at the University of Southampton, and co-author on the study, said: “Proving that fewer craters on Earth meant fewer impacts—rather than loss through erosion—posed a formidable challenge”. However, Gernon exploited an unlikely line of evidence to piece together the story—long-extinct diamond volcanoes called kimberlite pipes that stretch, in a carrot shape, a couple of kilometres below the surface. His research showed that kimberlite pipes formed over the past 650 million years in stable terrains are largely intact; indicating that large impact craters formed over the same period and in the same terrains should also be preserved. 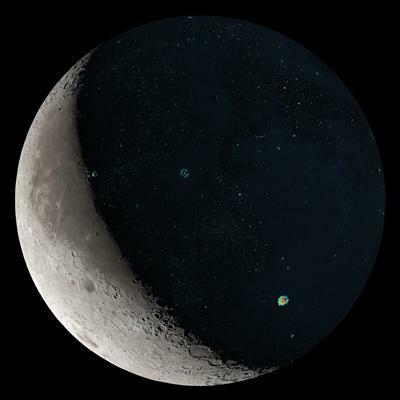 This explained the similarity of the Earth and Moon’s impact crater records, and helped the team establish that the sparsity of craters formed before 290 million years ago is because there were fewer asteroid strikes before then. “It was a painstaking task, at first, to look through all of these data and map the craters out without knowing whether we would get anywhere or not,” said Sara Mazrouei, the lead author of the paper who collected and analysed all the data for this project at the University of Toronto. The team’s work led to the discovery that the rate of crater formation over the last 290 million years has been two to three times higher than in the previous 700 million years. The reason for this jump in the impact rate is unknown but it could be related to large collisions taking place more than 290 million years ago in the main asteroid belt between the orbits of Mars and Jupiter, the researchers noted. Such events can create debris that can reach the inner solar system. The team’s findings related to Earth, meanwhile, have implications for the history of life—which is punctuated by major extinction events and rapid evolution of new species. Although extinction events could have many causes, the team points out that asteroid impacts are very likely to have played a major role. In particular, the dinosaurs proliferated about 250 million years ago, and “as a species were particularly vulnerable to large impacts from the get-go, more so than earlier animal groups”, says Gernon. “It’s perhaps fair to say it was a date with destiny for the dinosaurs—their downfall was somewhat inevitable given the surge of large space rocks colliding with Earth”, Gernon concluded. 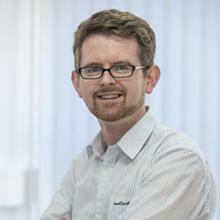 Dr Thomas Gernon is Associate Professor in Earth Science within Ocean and Earth Science, National Oceanography Centre Southampton at the University of Southampton.